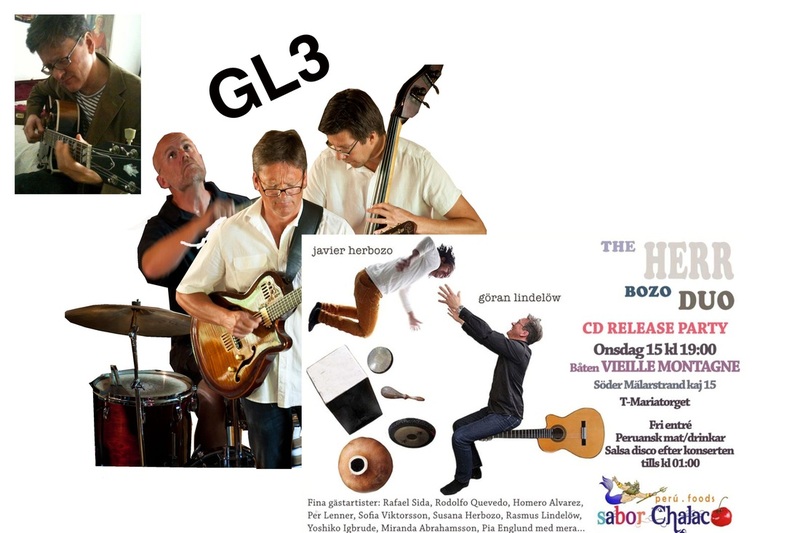 The Herr Bozo duo, GL3, with vocalists: Mary Blomqvist, Yoshiko Igbrude, Pia Englund. Jazz, bossa, influences of soul, cuban and afroperuvian music. Original music & standards. Compositions and improvisations. Concerts and loungemusic.